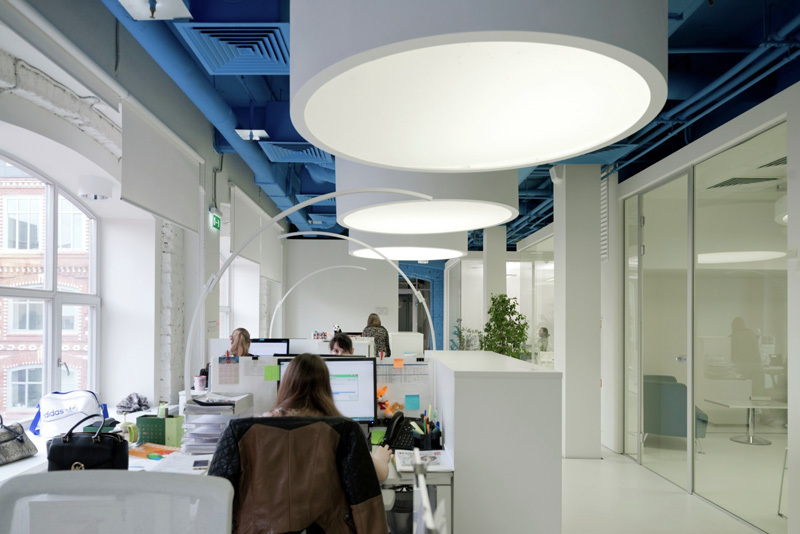 Nefa Architects have completed the design for the OPTIMEDIA Media Agency office, in Moscow, Russia. 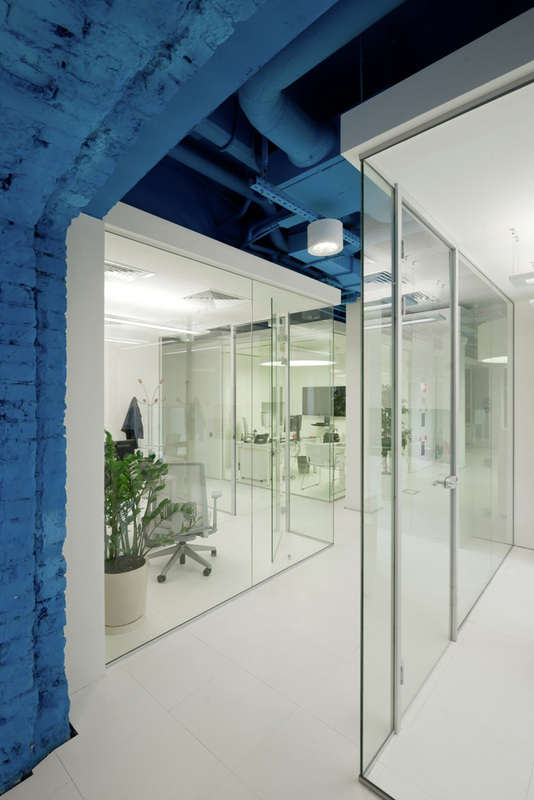 Our studio Nefa Architects has had plenty of experience in designing working spaces for ad agencies and media companies. 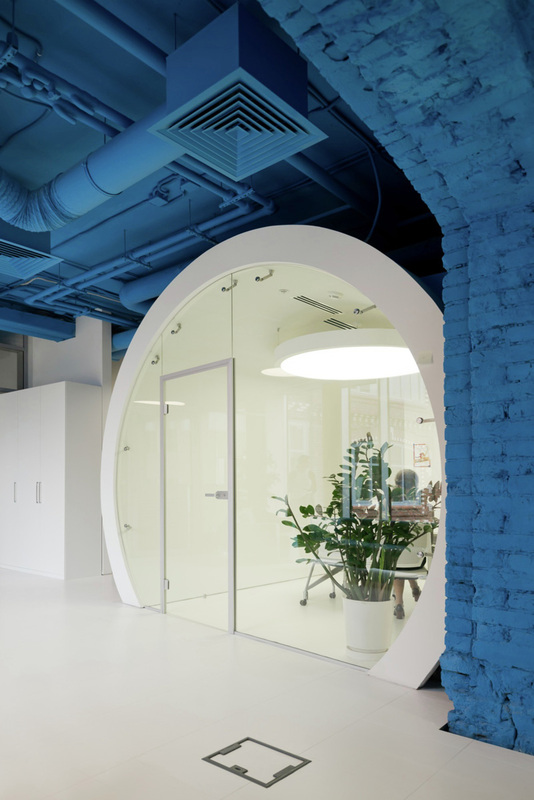 This time, developing the concept for Publicis Group, that includes 8 companies, we have opted for an idea of office spaces as modern art galleries. We did not want to make something complex; in each project the compositional idea, serving as a purely artistic feature and exposition, particularly, within the context of a brand book, organizes the space. 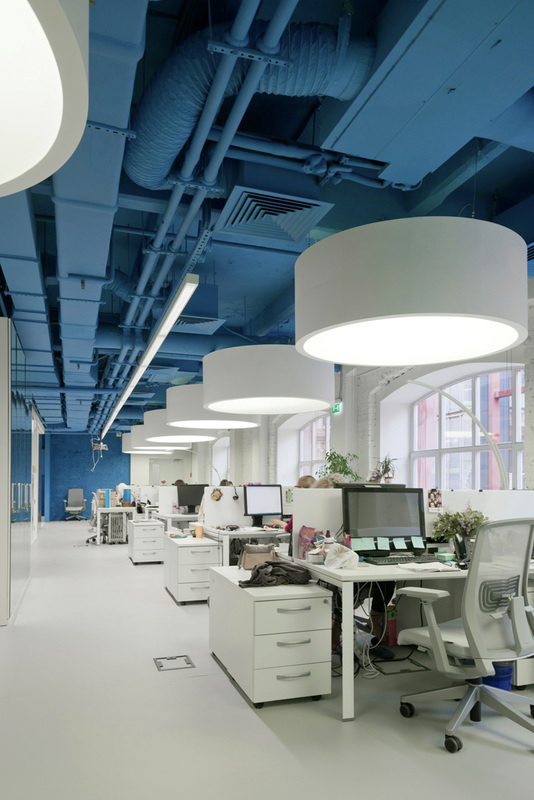 When designing the working space for Optimedia media agency office, we used saturated colour, central to the company’s signature style, and optical effects, “breaking” the real space and creating a parallel reality. The interior may or may not get some additional drawings or slogans or a new color in the future. That is the idea. The environment may change, but what will always be maintained is the core expressive substance, which is self-sufficient and makes the space complete.